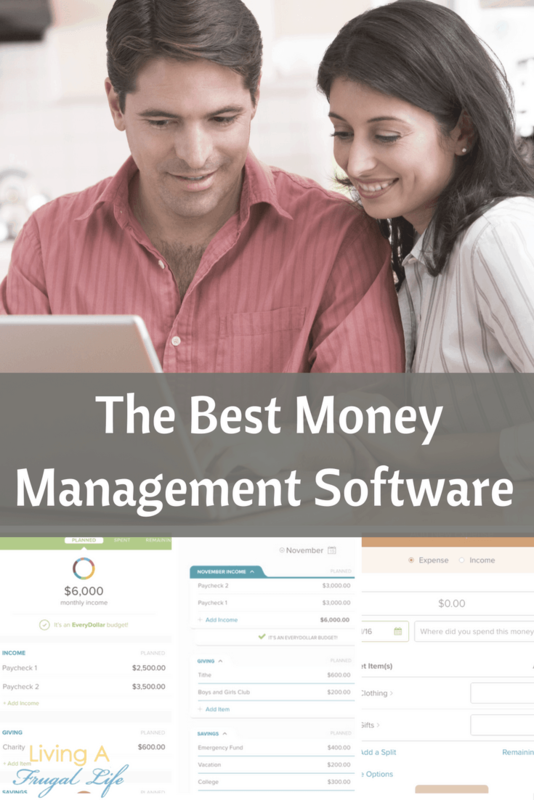 This post on the best money management software is brought to you by EveryDollar. All opinions and content is my own and was not influenced in any way. Are you looking for a free money management software? 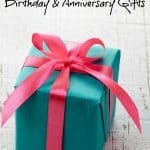 Over the last ten years, I have been through so many different options for budgeting. None of them was the free budget software I have always been looking for. I have used paper budgets, spreadsheets, online budgeting tools, and money tracking sheets. The same thing always happens. I start the budget. Do well with it and then it drops off. The other thing that happens is I stop tracking. I get the budget set, but there is no accountability, so it always fails. I think this lack of follow through was one of the most frustrating parts of budgeting for me. After spending so much time getting the budget ready and making it work, we were never able to get the budget work in real life. I began looking for a money management software two years ago. I wanted something that would let me connect our bank to it so I could track easier. When I started looking, there was nothing that got past the steel wall our bank put up to keep people out. This is a good thing… unless you wanted to get in to track your budget. Sure I could have manually tracked the purchases. Checking each off. But as we had more and more kids, It got harder and harder for me to find time. I had to give into the fact that I just didn’t have lots of time to do some things that I could easily do before. I had to prioritize and pick what was most important for me to do and what I could “hire out” so I kept my sanity. About a year ago, I heard about EveryDollar. It was created by Dave Ramsey to help people live a debt free life and to help them to stick to their budget easily. Prior to this being built Dave Ramsey always suggested that you handwrite your budget and not use a program. Handwriting your budget was an important part of the process of solidifying your budget, but it was not easy to do, and lots of people failed because of that. EveryDollar changed all that. 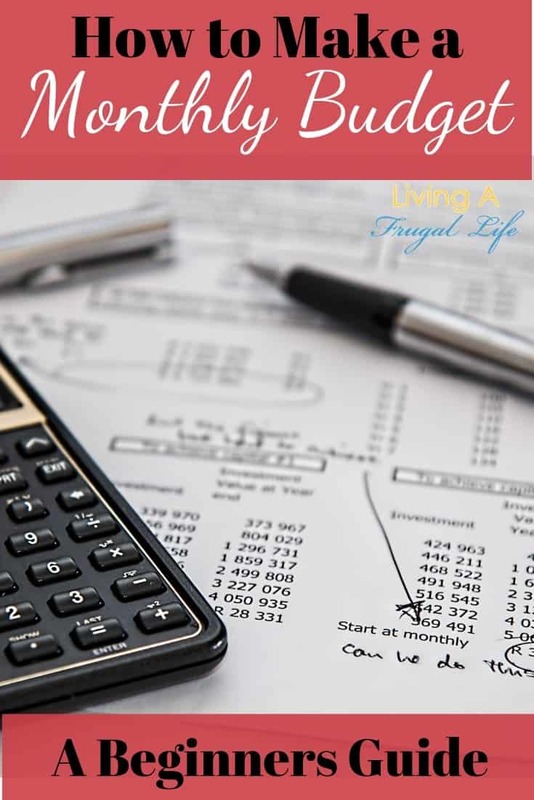 It is a free budgeting software that works like a handwritten budget but also includes so much more! This program is everything I could have ever wanted out of a budget. There is a place to plan, a place to track all your savings categories; it can be set to roll over amounts unused to the next month and so much more. I decided to try it out, and after a month, I quickly realized that this was the best money management software I have ever seen. It had spots for everything and had the option to connect your bank account to it. It does cost a bit each year to have that access, but I feel it is SO worth it because it is simplifying our tracking and budgeting. And to make it even better there is an app that gives you 24/7 access to everything! Here is how I budget using the EveryDollar app. The first thing you need to do is get your income entered. This is very easy if you have your paystubs or can look them up quickly. The total monthly income is calculated at the top. It will show you how much you have left as you add your expenses. After you have your income, start with your needs. This will ensure you budget for the most important items first and don’t get to the end and realize you don’t have money to pay your rent. Once you have your needs budgeted, you can move on to your monthly bills. This is stuff like cable, the internet, cell phone, etc. This is anything you use and pay for monthly that is not a need. After that, you add your wants. As you enter all these things, you will see your total amount go down more and more. Just continue adding things into your budget until that number reaches zero. If you have budgeted everything and you still have money left over, then you should make a savings category and put it in there. Once everything is set up, you are ready to go for the month. 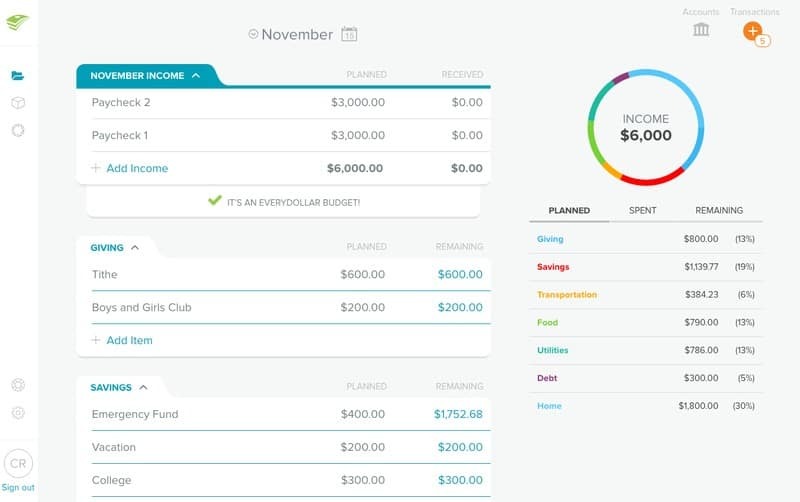 If you want to pay for the plus membership, like we decided to do, you can connect your bank account to your budget and track your spending. 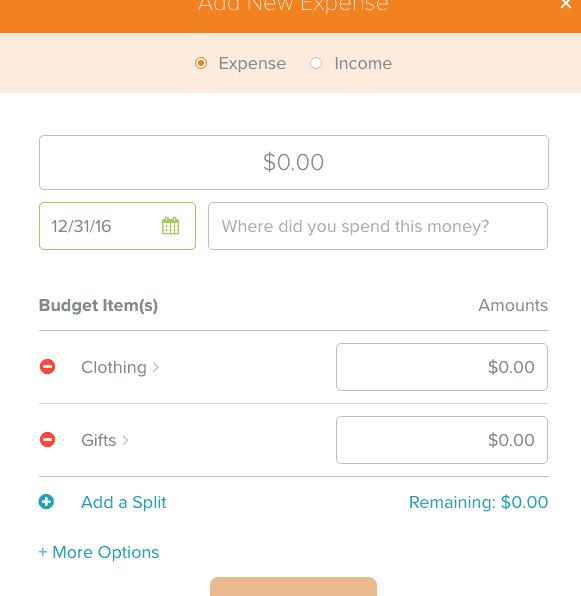 The budget tracking feature of this money management software is THE BEST part about the EveryDollar App! We choose to pay for it because at $99 for the year; It saves me so much time and stress because we can easily track everything and be sure we are sticking to our budget. It is worth WAY more than that to me! You also get access to drag and drop tracking where you can drag it to the category and drop it in. You can also split up purchases by only doing a couple of clicks. This saves me so much time! 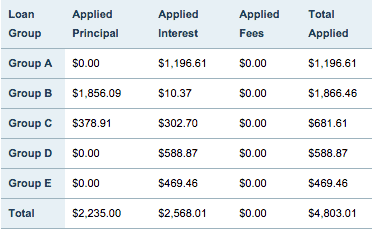 The other great thing about this program is that you can track your savings month to month and add them up. So you don’t have a need to have tons of accounts if you choose not to. You can leave all your money in 1 account, and you can just check your budget to see how much you have. 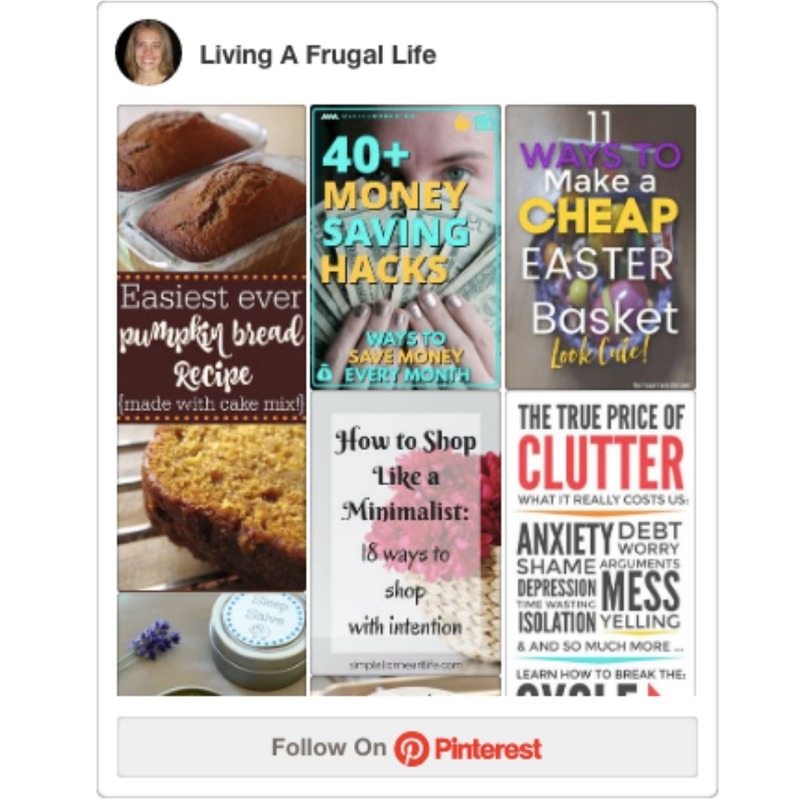 After years of budgeting manually and entering everything month to month, I am LOVING this easy to make budget. I also like the easy tracking too. My budget is done fast and easy, and we are accountable for our budget and our purchase each month as well. I would recommend this budget system over the traditional spreadsheet or paper and pencil budget. I would recommend this budget system over the traditional spreadsheet or paper and pencil budget. So if you are looking for a money management software that is a place where you can do it all be sure to check out EveryDollar!